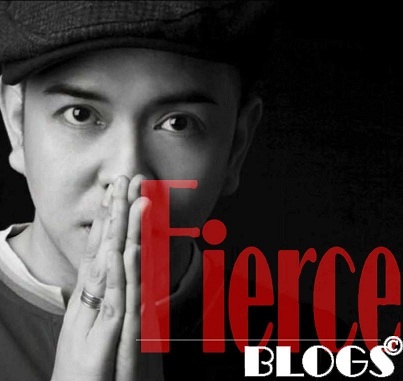 You are not seeing a typo on this blog post! You read it right. 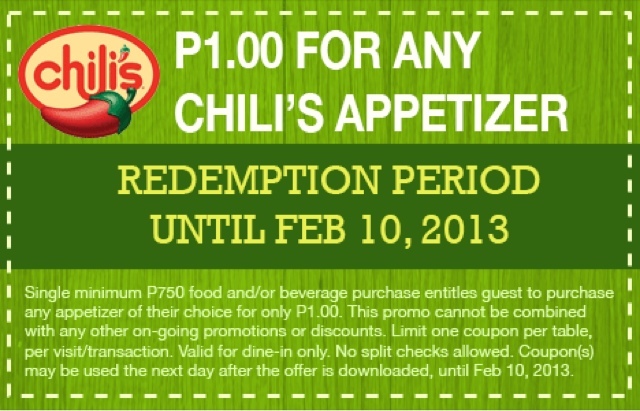 Chili's is having a promo and you can buy their salivating appetizers for only Php1.00. 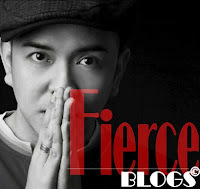 Visit this link (http://www.boogs.ph/coupon/chilis.php) and Fill up the registration form and an email will be sent along with the unique code. Print and bring OR show this coupon using your device to the branch you've selected. Check your SPAM folder if you can't find the email in your Inbox. 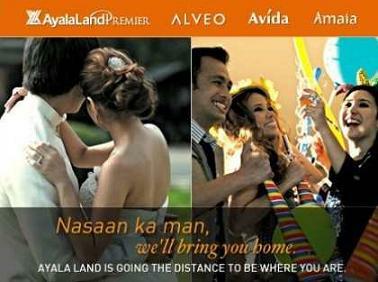 This promo is only until Feb. 10, 2013. 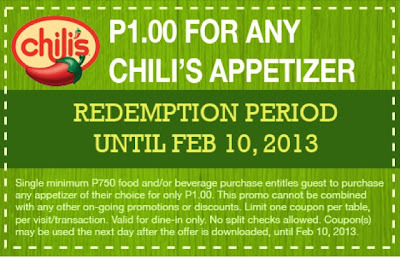 Of course, I'll visit my favorite Chili's Greenbelt branch to avail this great promo.